"Changing lives one nail at a time." revitalization, and the Habitat ReStore. We believe that every individual has a right to their own religious identity. Our programs do not discriminate based on religious identity. and grow to their full potential. Locally, the Menominee River Affiliate has housed over 40 families since our beginning in 1994. Our homes are built to Energy Star and Green Build standards, which results in lower utility bills for our families. Three of our recent homes were rehabs of donated houses. 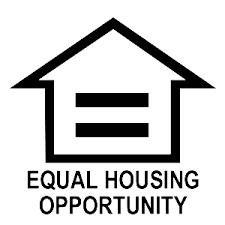 housing as well as in our neighborhood revitalization program. We are audited annually. · 2016 – Serve three families with home ownership, serve fifteen families with minor exterior repairs of up to $2,500 and serve an additional four families through A Brush with Kindness. · 2017 – Serve one family with home ownership, serve twenty families with minor exterior repairs of up to $2,500 and serve an additional four families through A Brush with Kindness. · 2018 – Serve one family with home ownership, serve twenty families with minor exterior repairs of up to $2,500, and serve an additional five families through A Brush with Kindness. · Half of the renters in Dickinson and Iron County pay more than 30% of their income for rent. Habitat families generally pay a lower monthly mortgage payment than they were paying previously in rent. · Studies have shown that homeownership leads to more stability in the family, more involvement in the community, and more involvement in their children’s activities. Children have a higher rate of success in school when they live in stable homes. · Many of our neighborhoods have homes reaching the end of their uselful lifespan; some structures are over 60 years old. Most of the sidewalks and parks around these older homes need attention or are in disrepair. Habitat, in partnership with others, is committed to changing this situation.